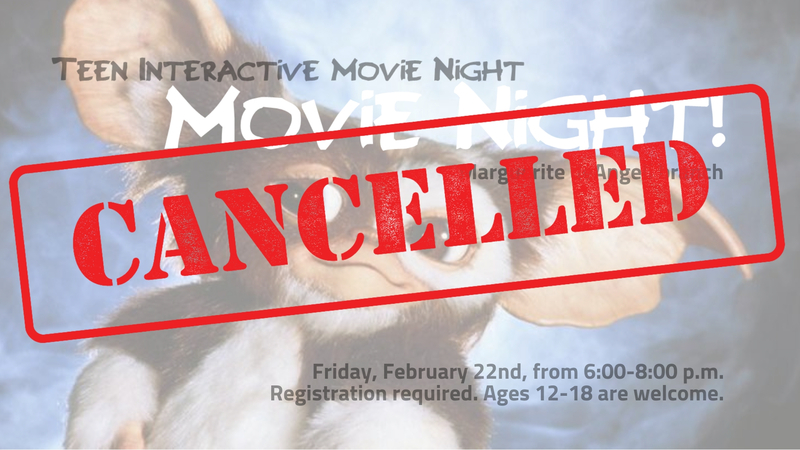 CANCELLED - Teen Movie Night! CANCELLED - This is an after hour event from 6:00-8:00 pm. Come join the interactive fun and enjoy some FREE popcorn! Ages 12-18 are welcome and registration is required. Register online or call (810) 664-6971.